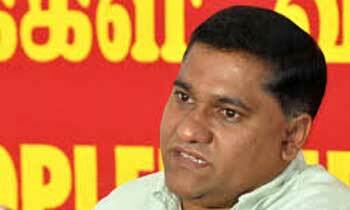 JVP MP Vijitha Herath said today clauses to uphold the fundamental and social rights of the people should be included in the new Constitution before talking about issues of power devolution, federalism and giving more powers to provincial councils. He said this during the Constitutional Assembly debate on the new Constitution and pointed out that the people's social rights including the right to education, health, drinking water and housing had not been included in the present constitution. He said the rights of all communities should be ensured to create national harmony. "There is a discrimination with regard to the Tamil language in the Constitution. Both Sinhala and Tamil languages should be regarded as State languages. There are clear proposals to resolve language problems in the new Constitution and to ensure social rights," the MP said. He said wrong decisions taken by the past rulers for their political ends led to the armed conflict and added that the governments had been unable to address the true reasons which led to the war. The MP said the then government did not pay heed to the proposals made by the JVP to address the national problem. He said the the JVP would support the Constitution on the basis that it could bring in at least short term solutions to the national problem, while the core need of the constitution should be to abolish the executive presidency, which the SLFP had no moral right to object. The MP said there was no basis to call for the amalgamation of the North and the East as 33 per cent of the Sinhalese, Muslims and Tamils live in the East whereas 32 per cent of Tamils live in the North. "We will not allow the amalgamation of the North and the East, which would not in any way contribute to addressing the national problem," he said. The constitution should include a minimum requirement to politician. A degree and declaring assets. Define clearly, power devolution and power sharing.